Each year at the New Jersey School Boards Association’s Workshop conference, the Future Ready Schools-New Jersey community celebrates the accomplishments of hundreds of educators, leaders, and stakeholders from across the state who have worked hard to ensure they are best preparing their students for success in college, career, and citizenship in the digital age. At Workshop 2018, Project Coordinator Jeremy Reich was joined by NJDOE Commissioner Lamont Repollet, NJIT’s Dean Kevin Belfield of the College of Science and Liberal Arts, and NJSBA Executive Director Dr. Lawrence S. Feinsod to honor 139 schools from 44 districts that were awarded either Bronze or Silver Tier certification in the 2018 certification cycle. 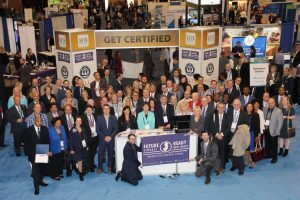 Future Ready Schools–New Jersey (FRS-NJ) is a coalition of the New Jersey Institute of Technology, the New Jersey Department of Education and the NJSBA. The voluntary certification program is aligned to the national Future Ready Framework and was developed based on the already successful Sustainable Jersey for Schools certification program. In order to be eligible for FRS-NJ certification, districts must commit to support their schools’ efforts by signing the national Future Ready pledge and passing a board resolution that establishes an inclusive, representative, and collaborative Future Ready Team. Individual schools declare their participation by establishing a school-level Future Ready Team. These teams collaborate to perform a self-assessment of where they are with regard to the use of technology to personalize student learning and, more importantly, how they support that use through leadership, professional development, and technology support based on FRS-NJ’s Indicators of Future Readiness. This self-assessment is informed and reinforced by evidence collected by the school and district Future Ready Teams. The evidence is submitted for review by an Awards Committee of educators and leaders, many of whom developed the FRS-NJ indicators over the last two years as members of the FRS-NJ task forces. The review provides feedback for the submissions and a greater perspective of where the school and district stand, providing submitters the opportunity to take what they learn and move forward based on their experience in the certification program. By successfully performing the self-assessment and submission and meeting several indicator-based requirements, schools can be certified as the initial Bronze Tier of certification. This year, 104 schools from 38 districts achieved this level of certification. This year also saw the launch of the Silver Tier certification, where schools which have achieved Bronze certification can continue their self-assessment process and show they have learned from, and made progress based on, their previous certification experience. Indicator-based requirements are more rigorous at this level. This year, 35 schools from six districts joined the inaugural cohort of Silver Tier certified schools. 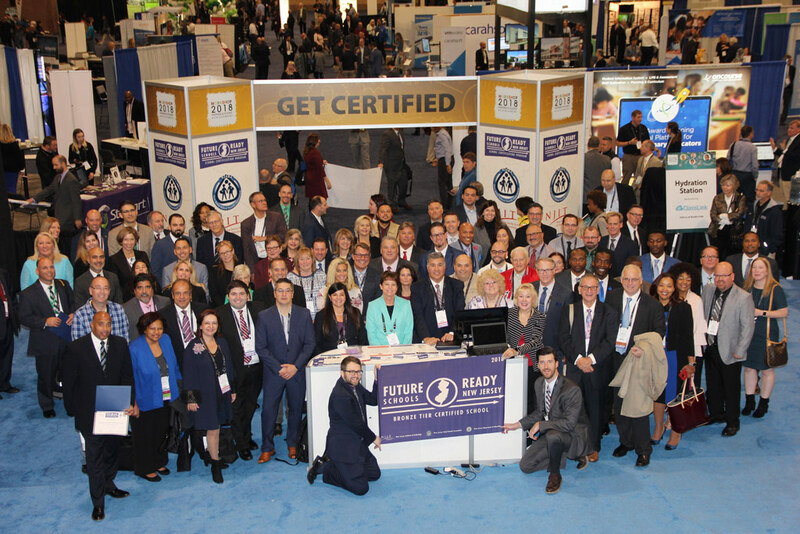 To find out which schools were certified this year and to learn more about the Future Ready Schools – New Jersey certification program, and its aligned initiatives, visit www.frsnj.org.